OnRobot A/S is established in June 2018 as result of the merge of three innovative End-of-Arm Tooling companies to facilitate the ongoing growth of collaborative robotics. Our new company combines U.S.-based Perception Robotics, Hungary-based OptoForce, and Denmark-based On Robot to become OnRobot A/S. This strong alliance will drive innovation and ease-of-use for robotic End-of-Arm Tooling. 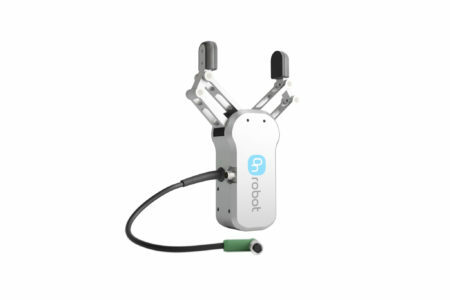 On Robot, founded in 2015, provides plug-and-play electric grippers — RG2 and RG6 — that mount directly on the robot arm, are highly flexible and are simple enough to be programmed and operated from the same interface as the robot without the need of engineers. In 2014, Bilge J. Christiansen, driven by the entrepreneur spirit, embarks on designing the innovative cable free gripper. Ebbe O. Fuglsang joins Bilge J. Christiansen to develop the software and the user interface for the RG2 gripper. 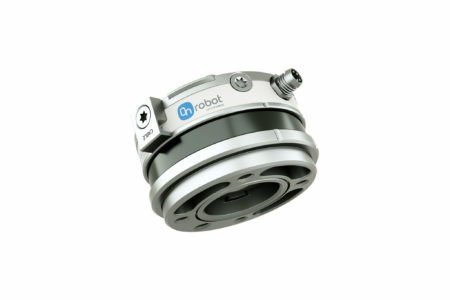 In 2015, On Robot ApS is established and the first grippers are sold in Europe. A network of distributors starts emerging. In 2016, the company receives substantial investments from private investors and The Danish Growth Fund. The distribution network expands to Asia, North America and Oceania. in 2017 and 2018, On Robot establishes offices in USA, Malaysia and Germany, while the distribution network expands to over 100 distributors in 40+ countries. OptoForce, founded in 2012, provides force/torque sensors that bring the sense of touch to industrial robots so that they can automate tasks that would otherwise require the dexterity of the human hand. OptoForce started as a university spin-off in 2012 than brought the newest technologies from robotic research to industry. The story of the company started as a university project when the two founders of the company – Ákos Tar Ph.D. and József Veres Ph.D. were studying bionics and robotics in the same class at university. They started a project to build a two-legged robot. One of the focus areas was to develop the senses of the robot so they needed to measure forces acting on the leg along the X-Y-Z axes. They developed a layered structure in which silicone would actually change its form more under a greater load and this made measurement in all directions possible. OptoForce was supported by renowned investors, such as Hungarian venture capitalists Day One Capital, Finext Startup and Momentum as well as Enrico Krog Iversen, former CEO of Universal Robots. 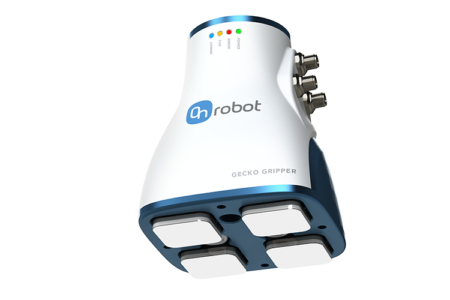 Perception Robotics, founded in 2012 and based in Los Angeles, develops bio-inspired robot grippers: a gecko-inspired gripper for handling large, flat objects, and a tactile gripper with compliant rubber tactile sensors (“skin”) to give robots a sense of touch.